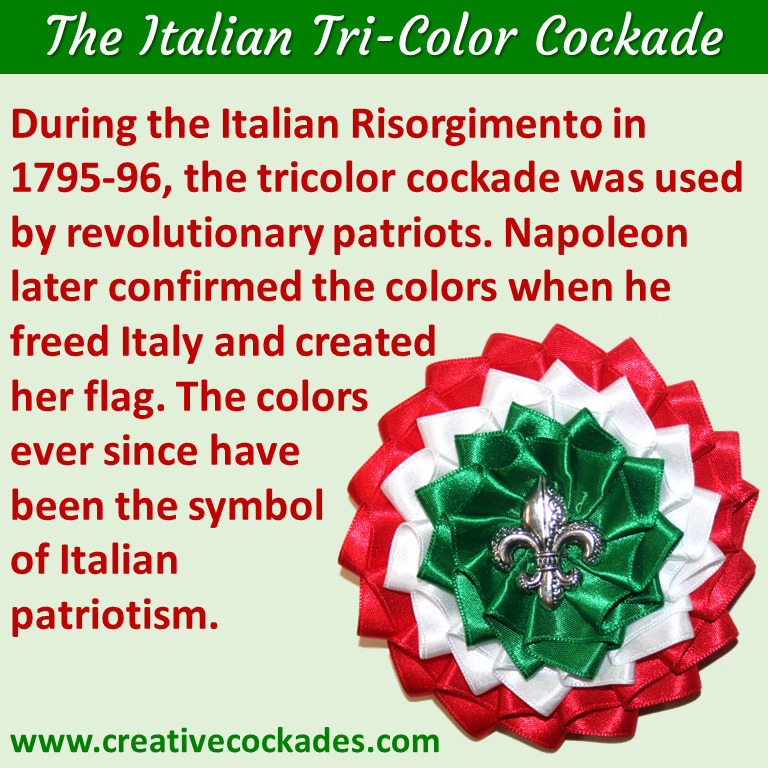 During the Italian Risorgimento in 1795-96, the tricolor cockade was used by revolutionary patriots. Napoleon later confirmed the colors when he freed Italy and created her flag. The colors ever since have been the symbol of Italian patriotism. This striking cockade is approximately 3" across. The silver-plated pin back is 1" wide.